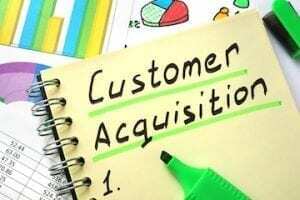 Every domain acquires authority based largely on the quality and quantity of links pointing to it. 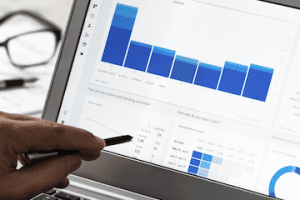 When your business model necessitates multiple domains, harness them in a mutually beneficial linking strategy to strengthen natural search performance across them all. 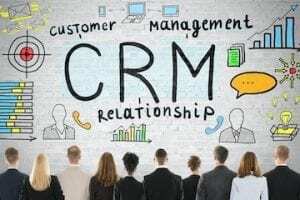 Companies that operate in multiple countries or offer multiple sites for different product sets or audiences can be at a search engine optimization disadvantage. Instead of accruing links, mentions, contextual relevance, and other positive SEO signals to a single domain where they can benefit the entire business, these signals are split between and accrue to multiple domains. Those multiple domains each act as silos, inadvertently hoarding their authority instead of sharing it with the other domains. There are times when separate domains are necessary, however. 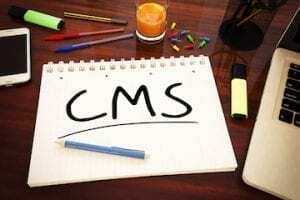 The website platform or other backend systems may not support the requirements for all the individual countries or brands, requiring instead that separate sites be created. 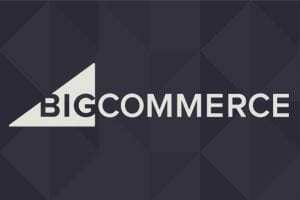 The brand team may not allow all the brands to be hosted on a common domain. Make sure there is a strong business reason to host your sites across multiple domains. 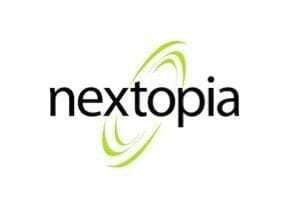 If there’s not, consider making the argument to migrate them to the same domain — carefully and strategically — during the next major site redesign or replatform. When sites do need to be hosted on separate domains, the next best option to share authority between them all is to cross link from the header or footer. Before you dismiss this as an ugly design option that user experience and creative teams will never agree to, consider the following examples of effective and attractive methods of cross linking sites. One of them could work for you. Offering a crawlable dropdown menu or list of links in the header or footer used across all the sites is the best way to ensure that search engine bots can navigate all the country and language sites. If many languages and countries are available, the list can become long and unsightly, making a location dropdown usually the more attractive solution. In addition to enabling navigation that both bots and shoppers can access, a dropdown that is coded optimally will also share link authority between the different location sites from every page that the dropdown appears on. That means that every single page on every site that uses the location dropdown will be sending link authority through that dropdown to all the other sites. That’s an incredibly powerful way to share the authority that each country has collected with all the other countries for the good of the entire business. Toys”R”Us’s implementation of the location dropdown, below, is good for SEO, in the U.S. and the U.K. 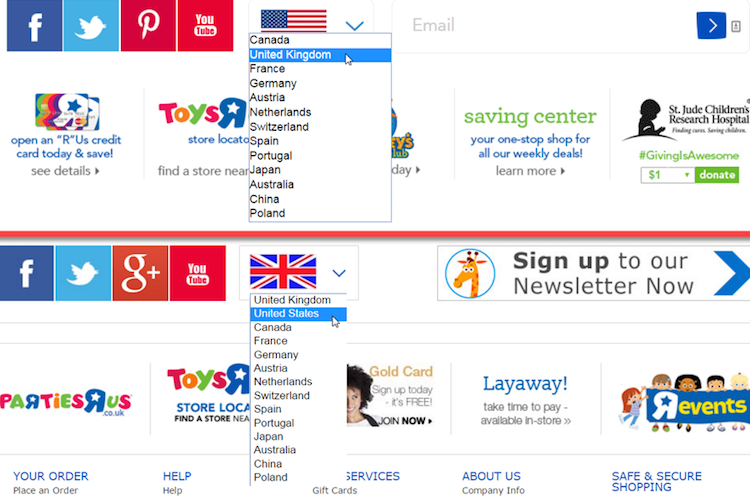 The Toys”R”Us footer uses an optimal location dropdown on the U.S. and U.K. versions of the site. Toys”R”Us could further nail the implementation by linking to the equivalent page on the other country’s site, instead of linking back to the home page, forcing shoppers to restart their journey to find a product. This is important for shoppers, but for SEO it also sends contextual relevance signals when a bot on the LEGO page in the U.S., for example, can crawl through the country selector to the U.K. and land on the equivalent LEGO page. Many sites alternately use a map- or sitemap-like landing page to enable shoppers to choose their country. FedEx is an example of the sitemap-like construct. 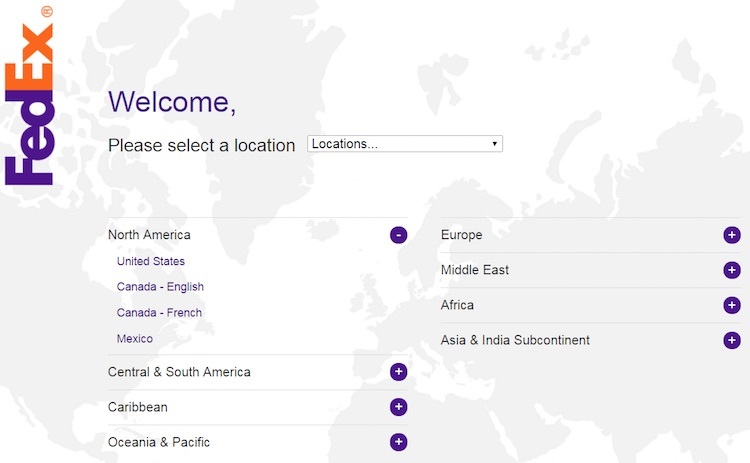 FedEx’s “Global Home” country chooser page is linked from the footer of every country site. 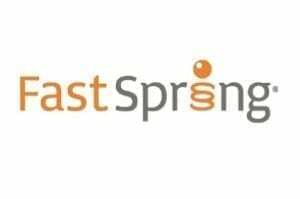 While these typically are also accessible to search engines, they are suboptimal for SEO because only the landing page passes link authority to all the country sites, not all the pages on which the link to choose your country appears. So in essence there is a single landing page that every page from every country and language site links to. But that page is only relevant for choosing a country — it has no valuable keyword relevance signal to pass to the location sites to which it links. That means that the authority signal being sent is weaker, and so is the relevance signal. Choosing a country tends to have more technical solutions than other multisite experiences. Unfortunately, a couple of them are not just suboptimal but impossible for search engine bots to crawl. 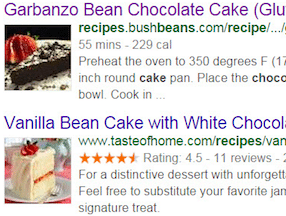 In particular, make sure that cookies aren’t being used to determine location and language preferences on a site. 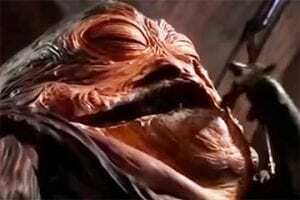 Bots can’t accept cookies, and thus won’t ever be able to access multiple countries or languages. Also, content-based redirects and geolocation can be problematic. Some sites force visitors to view their location-based sites, even if those visitors want to view another country — such as a U.S.-based consumer wanting to view the U.K. site. But this will force bots to view the sites where the bots originate from. Thus, a U.S.-based bot could never crawl a U.K.-based site. The dropdown construct described above would work for multiple brands, as well. However, brands tend to favor other design-based methods of linking that better showcase their logos or have room to describe the brand’s value. Amazon, shown below, uses the simplest method to link to its owned brands: a list in the footer. Amazon’s footer displays a list of brand links. These links are a one-way street, however, as the brand sites don’t link back to Amazon or to each other. This misses an opportunity for the more closely related brands to share authority with each other. 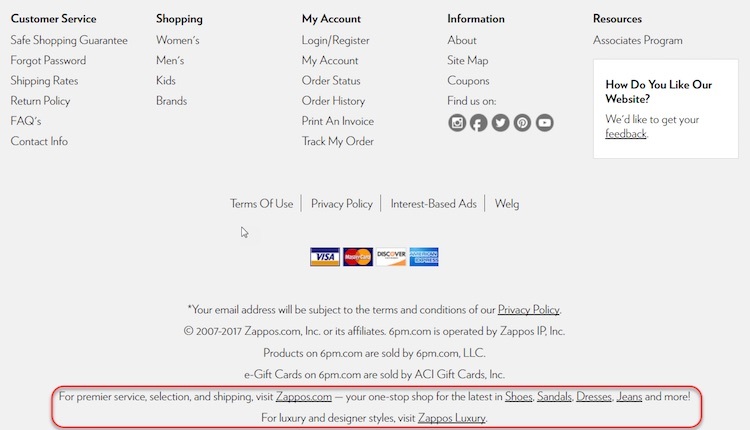 Amazon’s discount fashion site, 6pm, is the one exception to this rule, with its lines of links to higher-priced related site Zappos. Discount site 6pm shares its link authority with the higher-priced Zappos. However, this is also a one-way street, as Zappos does not link back to 6pm. The decision on which way to link would be strategic in this case, because Amazon would want to boost the authority of its higher-priced fashion site so that Zappos ranked higher than 6pm. Shopbop, another Amazon-owned fashion site, also does not participate in this fashion-based linking. 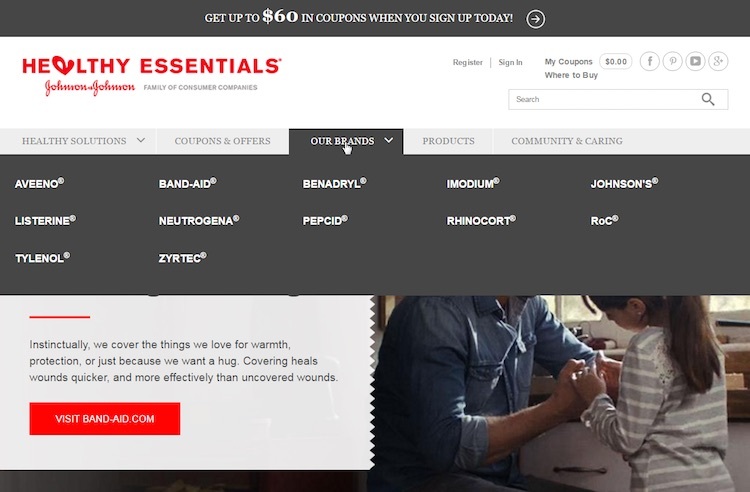 Johnson & Johnson’s Band-Aid brand takes another approach in its cross-brand linking: tabs in the header. Band-Aid displays tabbed links to related Johnson & Johnson brands. 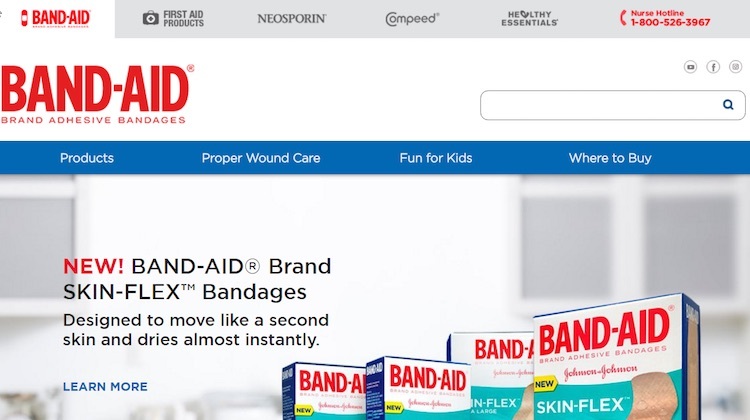 These tabs link from every page on Band-Aid’s site to sister brands Band-Aid First Aid, Neosporin, and Compeed, as well as to Johnson & Johnson’s Healthy Essentials consumer products portal. This may be a new construct that Johnson & Johnson is rolling out, but it’s not in place yet on any of the other sites to which it links. Regardless, the placement of the links remains important. A linking structure in the header or footer that appears on every page of a site is vastly more powerful than links found on a single landing page. Johnson & Johnson’s Healthy Essentials consumer products portal below uses the landing page method common to many large multi-brand companies. Healthy Essentials drives users through a landing page before linking to the brand’s site. 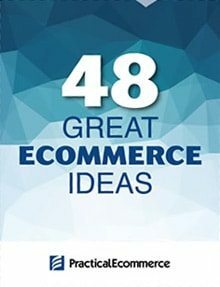 This method sends the shopper through the parent site to a landing page before navigating out to the brand’s own site. 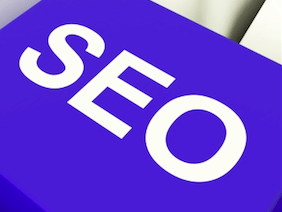 It sends a far lower link authority signal for SEO, because the link to the brand’s site can only be found on a single page in the site, as opposed to being placed in the header or footer. In cases like this, when a landing page is necessary to display valuable information like the coupons available on Healthy Essentials’ Band-Aid page, perhaps an additional brand list or dropdown in the footer could send strong SEO link authority signals, as well.